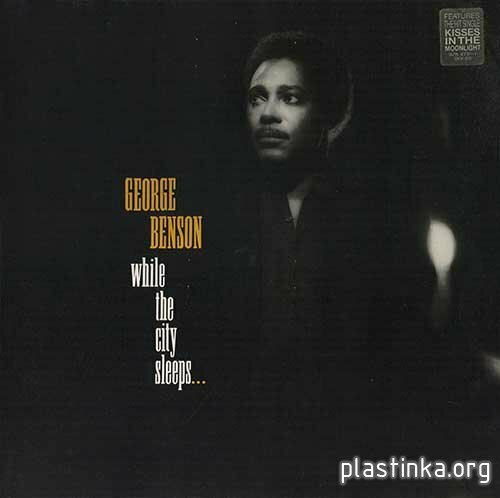 The transformation of George Benson, guitar icon, into George Benson, pop singer, is completed here, on While the City Sleeps, for there are no instrumentals at all on this hard-sell, synth-laden series of ballads and dance tunes. This is marginally better than 20/20, for at least Michael Walden's high-tech production (with added tracks by Kashif and Tommy LiPuma) has more punch, and the material, though still mostly lame, is easier to take. There is very little guitar to be heard, and what little there is can usually be found hidden behind Benson's scatting or the pulsating electronics. The best bet for ferreting out some strong guitar is on "Love Is Here Tonight," but it's deep within the mix. For those who care, an animated Kenny G turns up on "Did You Hear Thunder." Стало уже традицией на plastinka.org - релизы некоторых музыкантов приближаются у нас к полной дискографии. Джордж Бенсон на этом диске, как всегда, хорош. И его фирменные унисоны голоса и гитары в импровизационных проигрышах тут в изобилии. Спасибо, Николай, за хорошую музыку!